Pantene Beautiful Lengths encourages women (and men) to grow, cut and donate their hair to make real hair wigs for women who have lost their hair due to cancer treatments. Pantene recognizes that woman's healthy hair is an incredible instrument of self-expression, defining their self-image in a way that almost no other physical attribute does. Here's how to participate in Pantene's partnership with HairUWear® to create the wigs for the Beautiful Lengths program. Before you can donate, your hair has to meet Pantene's requirements. Pantene Beautiful Lengths requires a minimum of 8 inches of hair for donation. To see if your hair is long enough for donation, pull your hair back in a ponytail and measure from just above your ponytail holder to the tip of the ends of your hair. Hair longer than 8" can also be donated. Have a discussion with your hairstylist before you make your donation appointment. Let her know of your plans and ask her to help you find a new hairstyle that will work with your hair. Cutting 8 inches or more off your hair is a big change. 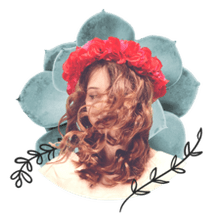 Your hairstylist can give you realistic expectations on how short your hair will be when your hair is cut and what kind of styles will work best for your hair. Before your appointment, find a hairstyle or at least have a general idea of the type of style you're looking for. you'll want to choose a style that will work with your lifestyle. When your hair has reached its length (and you've gathered your courage!) 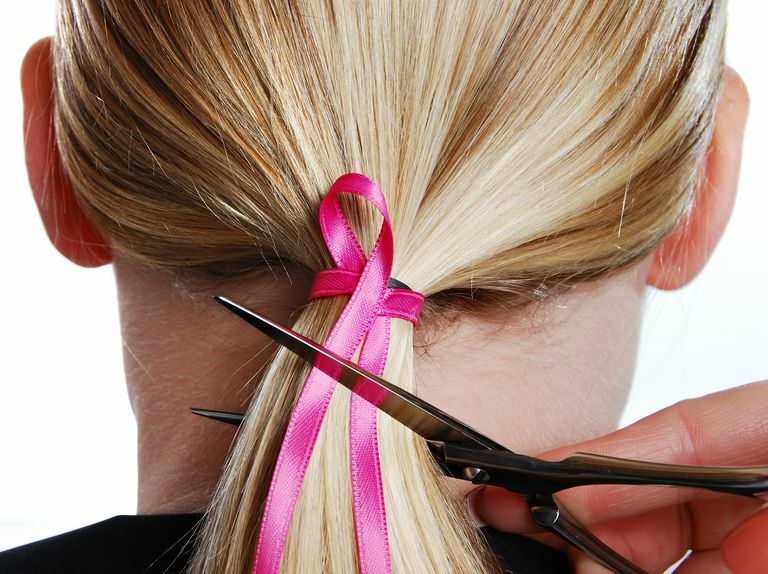 let your stylist know you're ready to donate your hair. Some salons offer free or reduced cost haircuts for donations. Some hair salons will happily send your hair into Pantene Beautiful Lengths for you, though others will not. It's very easy to send your hair in. Simply take your ponytail, place in an envelope (a zip-lock bag works well), and mail to Pantene Beautiful Lengths, Attn: 192-123, 43 Butterfield Trail Suite A, El Paso, TX 79906. If you would like acknowledgment for your donation, include your full name and return address with your hair donation. Donated hair may be colored with vegetable dyes, rinses, and semi-permanent dyes. It cannot be bleached, permanently colored or chemically treated. Hair cannot be permed to donate to Pantene Beautiful Lengths. Hair must be in a ponytail to be donated. Hair should be freshly washed and completely dry, without any styling products. Hair that has been shaved off cannot be used. If you are shaving your head, first divide it into multiple ponytails and cut it off for donation. Hair cut years ago is usable if it has been stored in a ponytail or braid. Dreadlocks, wigs, hairpieces, hair extensions and synthetic hair cannot be donated. Curly or wavy hair CAN be straightened to measure 8-inches. Hair may not be more than 5 percent gray. Are Your Hair and Makeup Aging You? How Do You Remove Static Electricity From Your Hair?